Remember last week when I gave you that unapologetically bad for you recipe for Seven Layer Bars and you all maybe hated me a little for how much you wanted to eat them and give up all attempts at healthy living? 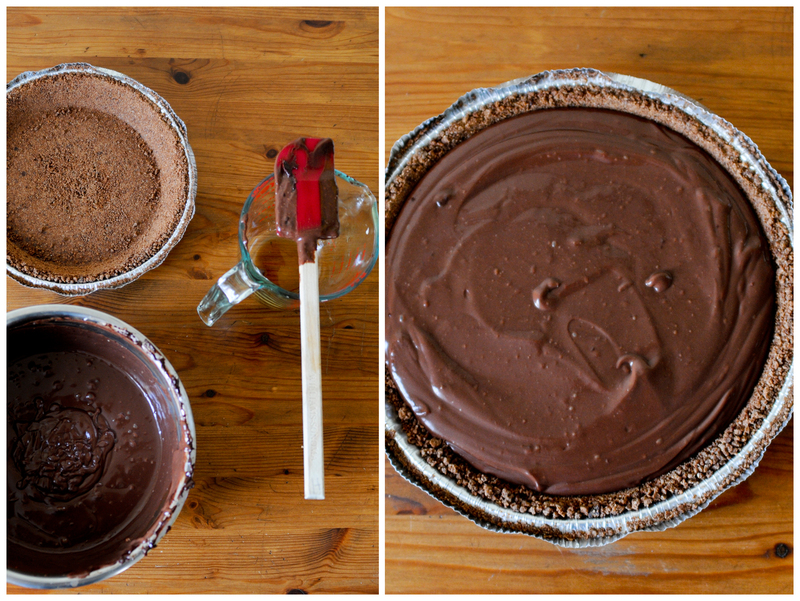 Well today, in the form of the promised healthy recipe, I give you Chocolate Fudge Pie. Yes, you read that right. But first, a story about how this pie changed my life by making me recant my long avowed hatred for tofu. A couple weeks ago I ate dinner with some people from my program at Kristen and Lee’s house. Remember them? They’re the ones who biked across the entire country this summer. They also eat vegan when eating at home, and Kristen tricked us all into eating a [mostly] vegan meal and liking it. At one point, as I was shoving my face with this impossibly rich mousse-like chocolate pie, Kristen piped up that it was made out of tofu. Yes, TOFU. The stuff that is pretty much what would come out if plants could sneeze. But somehow… this pie is so impossibly rich and silky that I just don’t even care. Plus, it’s mostly vegan (and easily could be if you made a couple tweaks). And, if you used multiple ramekins and made it like a mousse cup, it would also be gluten-free and adorable. That’s why it’s magic. Serve with diced strawberries and whipped cream and then gleefully wait until people compliment them and then yell “IT’S MADE OUT OF TOFU!! !” and watch their response. Also, this whole pie took about 20 minutes to make, and that includes the time it took to drag each step onto my living room table, stand on chairs and take photos of it, and pause in the middle to eat spoonfuls of peanut butter dipped in chocolate chips because I am incapable of being faced with bowls of chocolate chips without chowing down. Place enough water in the bottom of a 4-quart saucepan to come 1 inch up the sides. Bring to a simmer over medium heat. Melt the chocolate chips with the liqueur and vanilla in a medium metal bowl set over the simmering water, stirring often with a rubber or silicone spatula. 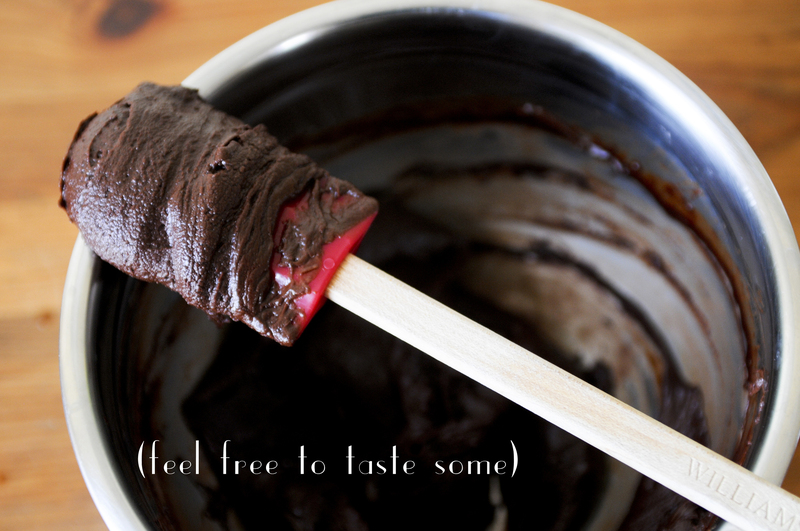 Combine the tofu, chocolate mixture and honey in a blender or food processor and spin until smooth, about 1 minute. Pour the filling into the crust and refrigerate for 2 hours, or until the filling sets firm. This entry was posted in Uncategorized and tagged baking, chocolate, confessions, Cooking, dessert, Gluten-Free, photography. Bookmark the permalink. You best not be kidding about making this pie ASAP!!! !